born 1780 in Portadown, (County Armagh, I think) Ireland, and died September 22, 1870 in Goulbourn Twp, Ontario  90 yrs..
100 bushels of wheat on hand. was occupied by his descendants until 1908 when his great grandson, Thomas Hobard Shillington, emigrated to Saskatchewan. As late as 1953, the house was still standing and occupied by William Tubman (Tubman Funeral Homes). about 1950. (picture is in the book). 2.	ii. ANN 'NANCY' SHILLINGTON, b. August 1801, County Down, Ireland. or Tyrone County. ; d. June 20, 1885, 83 yrs & 10 mos. 3.	iii. JAMES SHILLINGTON, b. October 9, 1803, County Kilkenny, Ireland; d. January 6, 1867, Goulbourn Township, Ontario. iv. JOHN 'INFANT' SHILLINGTON, b. 1804.
v.	JANE 'INFANT' SHILLINGTON, b. 1809.
vi. JANE SHILLINGTON, b. May 1815, Christened Oct 20, 1909.
vii. BARBARA SHILLINGTON, b. December 23, 1819, Quebec, in route to Upper Canada; d. March 5, 1883, Ontario; m. A PRATT. 1840, Edwardsburgh County, Ont. Parent's residence. ; b. Abt. 1825; m. (2) ALVINA GUEST, 1865, St. Mary's Ont. ix. JOHN SHILLINGTON, b. February 13, 1823, Goulbourn Twp, Ontario; d. June 1, 1888, City View, Ottawa, Ontario. daughters living, sixty grandchildren and sixty-nine great grandchildren. of this sketch), on 5th line of Goulbourn, county of Carleton, was the home of Methodist ministers and Methodist workers generally. 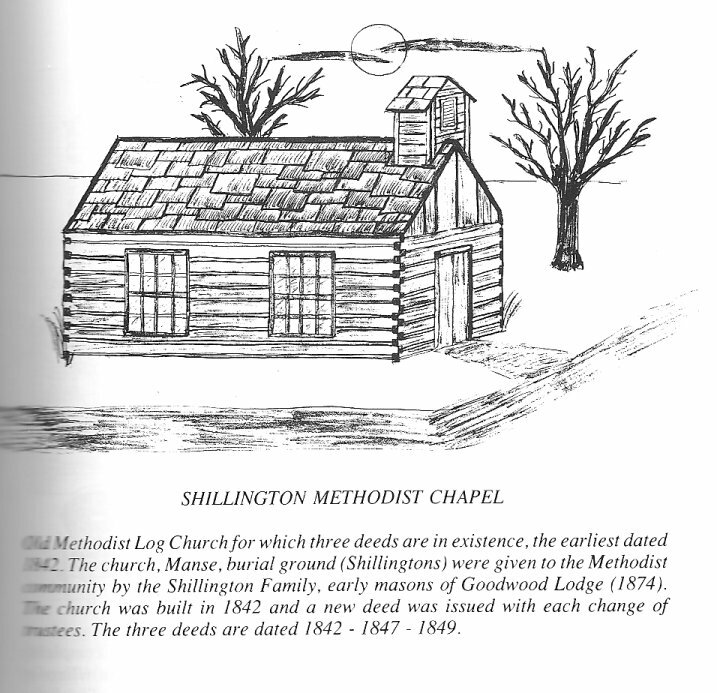 There was a large Methodist Meeting Ground in Stittsville, Goulbourn Township. and was beloved by all who knew her. Ann Shillington lived a Christian life and died in hope of a glorious resurrection. Of her, it can truly be said, "She walked before the Lord in the land of the living." Shillington site. ; d. January 28, 1946.
in medicine from McGill University in 1894. On October 29, 1894 he opened  his medical practice in Ottawa at 305 Bank Street. Church to the McLeod Street Methodist Church (became McLeod Stewarton United Church, now called Centretown United Church)in Ottawa. (Located at the corner of Bank Street and Argyle Avenue). On October 31, 1895 he was elected to the Official Board of the Church. Then he completed a post graduate course in England. illness. His wife predeceased him the previous March of that year. Burial: Beechwood Cemetery, Ottawa, Ont. Note: The above work was all collected and transcribed by the late Mr. Robert Sample of Goulbourn Township.